New research comparing genes from living lions with ancient lion remains could help scientists boost dwindling populations. A team of scientists has for the first time compared the genetic signatures from living and extinct lions to identify five distinct geographical groups within the lion species. Their findings were reported in the BMC Evolutionary Biology journal last week. The research team, led by the University of Durham and including Museum zoologists Prof Ian Barnes and Richard Sabin, has identified the five groups of lions as North African/Asian, West African, Central African, South African and East-South African. Current conservation policies recognise only two distinct geographical groups. 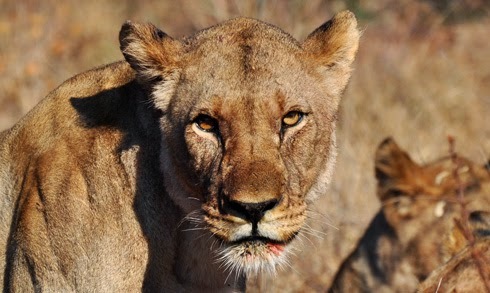 The genetic information contained in lion DNA identifies the unique characteristics of each population, which, according to Mr Sabin, is vital in understanding how to protect lions from the increasing threat of extinction, using conservation programmes and repopulation both in the wild and in zoos. Only one lion species (Panthera leo) exists today, with isolated populations living across Africa and in India. About 124,000 years ago during the Late Pleistocene, lions were one of the most successful land mammals on the planet, with many subgroups of Panthera leo existing across a huge geographical range from southern Africa to Eurasia and Central America. Modern hunting and habitat destruction has left lions in India, and western and Central Africa critically endangered. In the past twenty years around 30 per cent of the total lion population in Africa has been lost. The results of this study will help scientists understand the potential loss of genetic diversity that could arise from poor conservation or mismanagement of the remaining lion populations.